This is a floorplate for a Winchester Model 70 rifle. This part, in very simple terms, goes underneath behind the trigger. The scrollwork and gold inlay was done by John Barraclough. 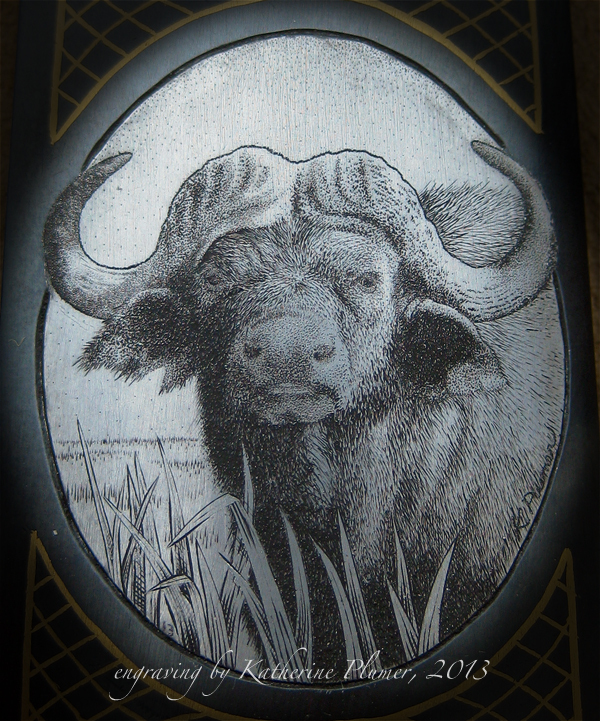 I engraved the Cape Buffalo in what is known as "bulino" style. 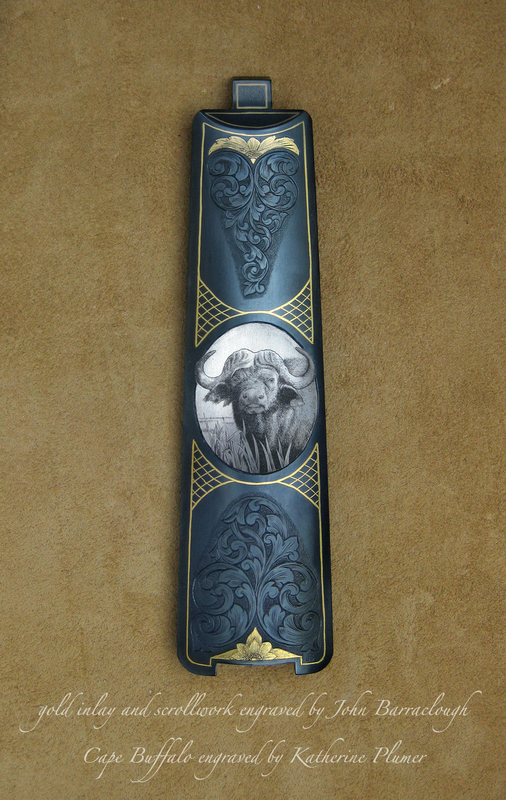 This is NOT scrimshaw (it's NOT ivory). This is on steel. Yeah, I engraved metal. ;-) And I'm gonna do it again!